with Mark Adams, Atholl Anderson, Lori Bowers, David Dudfield, Vicki Lenihan & Gerard O'Regan. 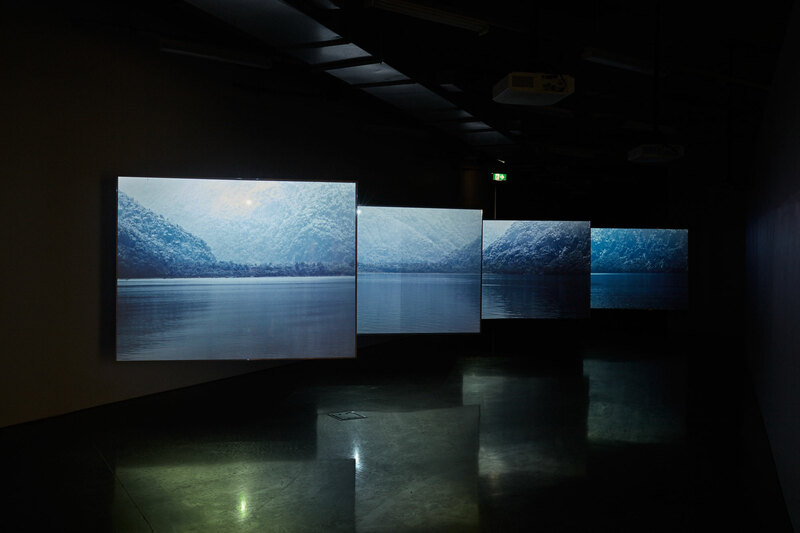 Alex Monteith, Coastal Flows / Coastal Incursions: In Light of Time (production still, Te Puaitaha—Breaksea Sound), 2014. Image: Karel Witten-Hannah. 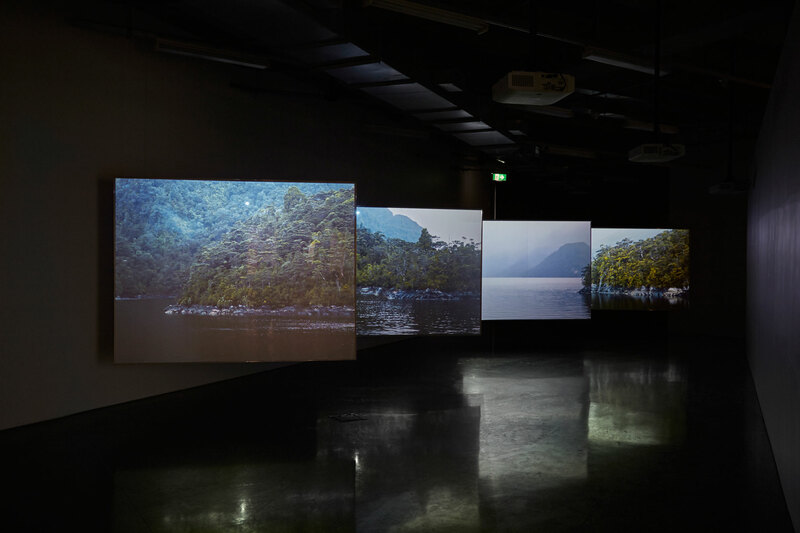 Coastal Flows / Coastal Incursions revisits a collection of material from Te Mimi o Tū Te Rakiwhānoa (Fiordland coastal and marine area) held at Southland Museum and Art Gallery Niho o Te Taniwha. 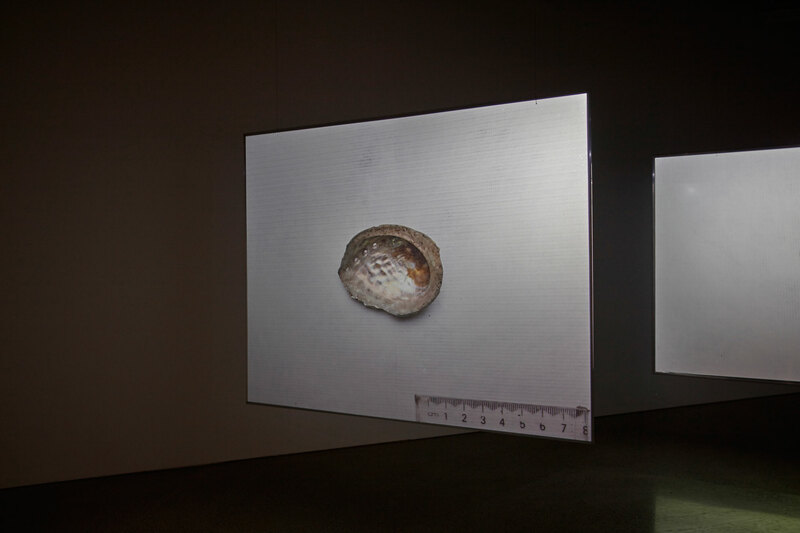 Over the past six years, working with iwi and across the disciplines of archaeology, museology and visual arts, Alex Monteith has through this project sought to facilitate the research and reappraisal of this collection. Between 1968 and 1972, multiple sites were excavated throughout Te Mimi o Tū Te Rakiwhānoa. 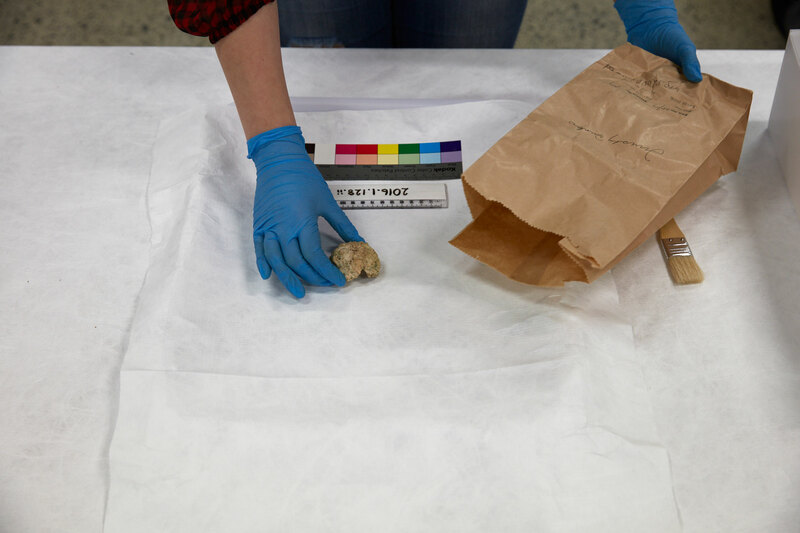 Sometime after 1972 this material, excavated mainly from middens, was deposited with Southland Museum and Art Gallery Niho o Te Taniwha and Otago Museum. 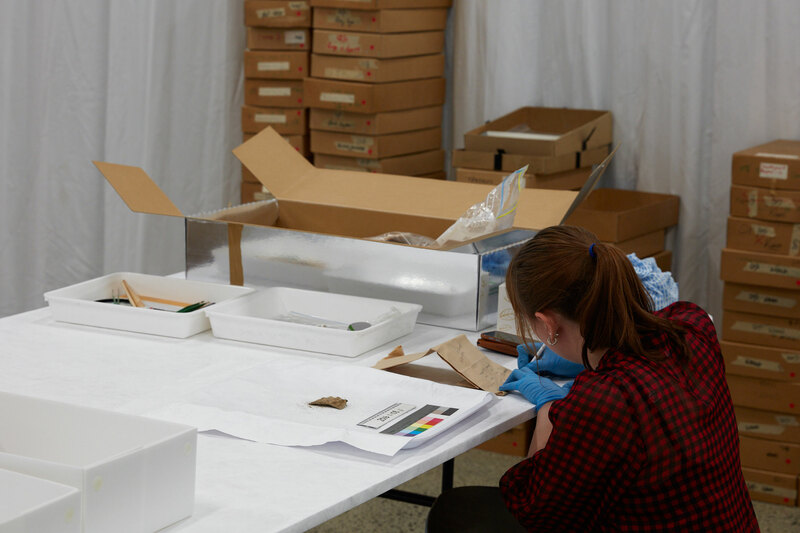 Due to its overwhelming scale (approximately 360 boxes at Southland Museum and 36 boxes at Otago Museum), it was unable to be catalogued at that time. 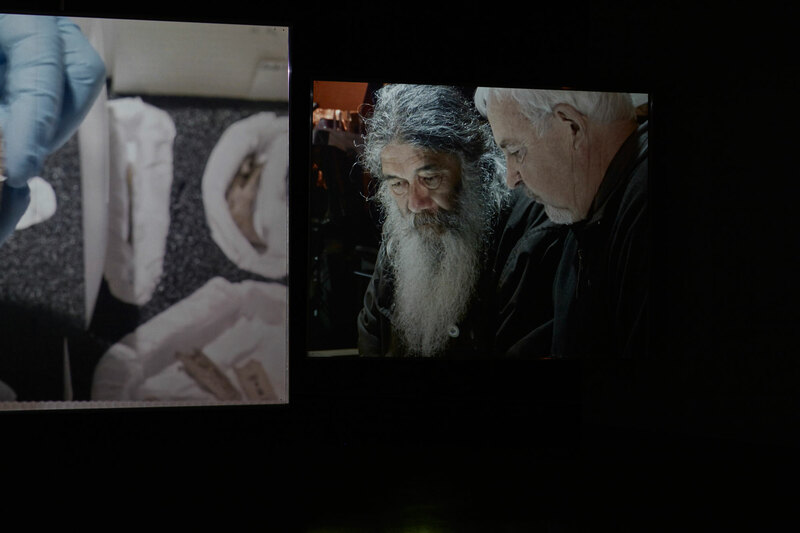 Monteith’s project looks at downstream effects of the journey between the places of excavation and the museum, and at the potential of a durational, interdisciplinary response to the conditions around the collection today. Central to the ongoing project is enabling the cataloguing of the collection. 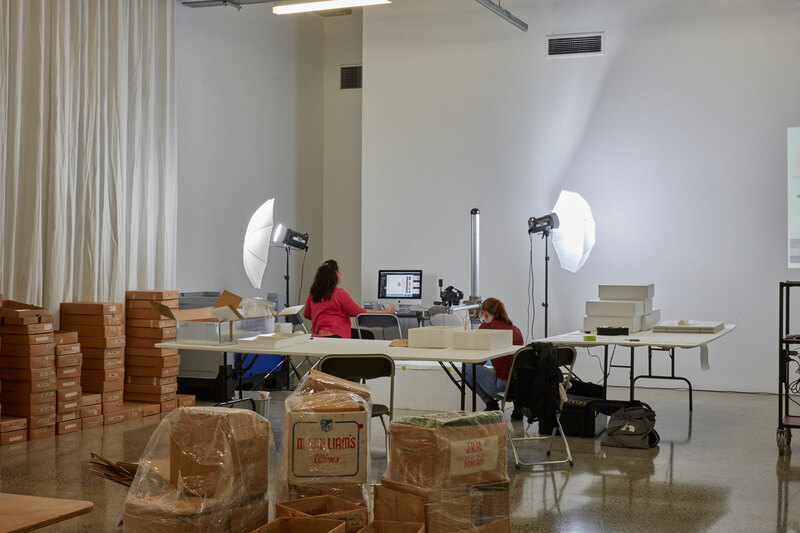 Following an earlier phase of work in 2016 at Southland Museum and Art Gallery Niho o Te Taniwha, in the ST PAUL St exhibition the long-term task of cataloguing will be continued. A further 25 boxes of uncatalogued material will be catalogued over a period of three weeks during the exhibition. The selection has been made by Ngāi Tahu archaeologists Atholl Anderson and Gerard O’Regan, and historian David Dudfield; archaeologist Lori Bowers and Ngāi Tahu artist, curator, museum professional and arts advisor Vicki Lenihan will undertake this work. For the same period, a selection of taoka that have emerged from the collection will also be in the gallery space. 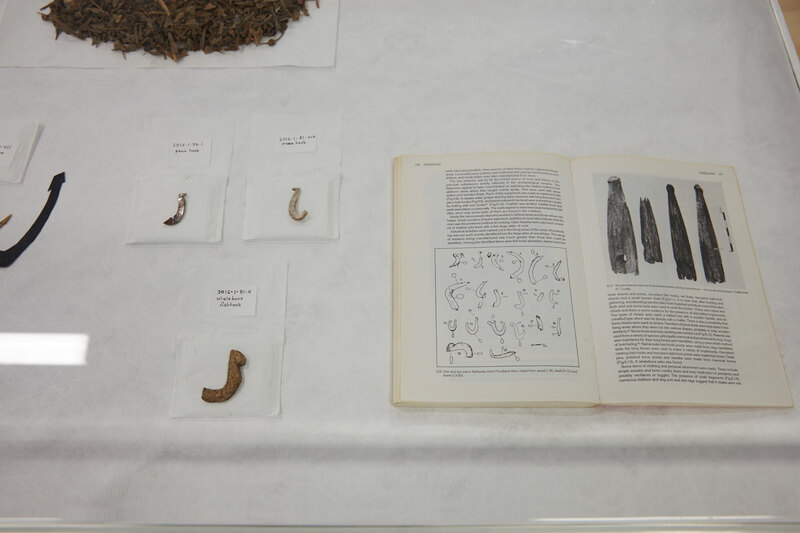 The cataloguing work is undertaken with the intention to reconnect the material to people and places according to principles of kaitiakitanga. It is to go some ways to address the treatment of the material culture excavated and its dormancy in the museum setting, and to support discussions about the care of this taoka in time to come. 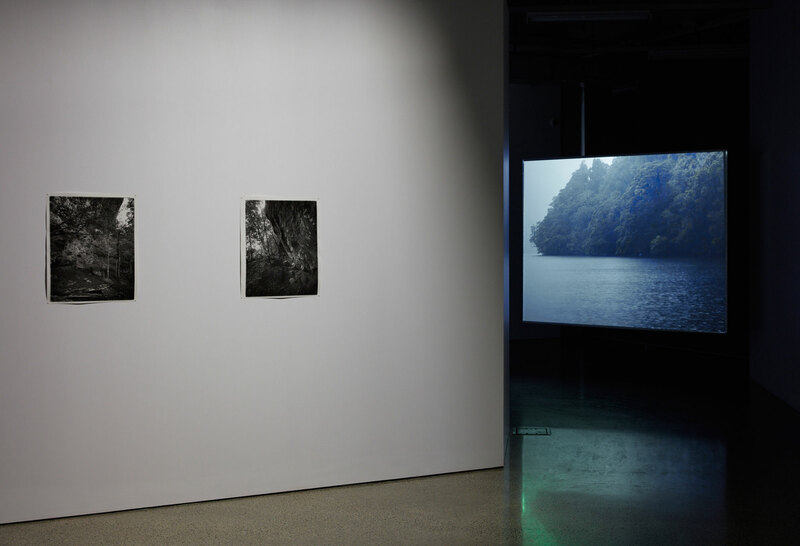 The collection is accompanied by Monteith’s video installation, Coastal Flows / Coastal Incursions: In Light of Time (2017), and Mark Adams’ photographs from 2014, when he and Monteith undertook a three week visit to Tamatea (Dusky Sound). The project is accompanied by a publication with contributions from Mark Adams, Atholl Anderson, Vicki Lenihan, Alex Monteith and Gerard O’Regan. We would also like to warmly acknowledge Richard Anderson, Taare Bradshaw, Stewart Bull, Jane Button, Shona Fordyce, Paul Horner, Lynley McKay, Michael Skerrett, Huhana Smith, Kimberley Stephenson, Rangimarie Suddaby, Peggy Peek, Gail Thomson, and Tracey Wedge, and support from Southland Museum and Art Gallery Niho o Te Taniwha and the iwi liaison komiti comprised of Awarua Rūnanga, Te Rūnanga o Hokonui, Ōraka Aparima Rūnaka and Waihōpai Rūnaka; Elam School of Fine Arts, The University of Auckland and Creative New Zealand. Coastal Flows / Coastal Incursions: In Light of Time (detail), 2017. 4-channel video, 32:47 minutes. Photo: Sam Hartnett. Coastal Flows / Coastal Incursions: In Light of Time, 2017. 4-channel video, 32:47 minutes. Photo: Sam Hartnett. Repacking the Past, ongoing cataloguing project. Cataloguing archaeological material excavated from Te Mimi o Tū Te Rakiwhānoa (Fiordland coastal and marine area) 1968-72. Photo: Sam Hartnett. Repacking the Past, a selection. Cataloguing archaeological material excavated from Te Mimi o Tū Te Rakiwhānoa (Fiordland coastal and marine area) 1968-72. Photo: Sam Hartnett. Mark Adams, ‘1.7.2014. Tauwhare and Midden. Coopers Island. Tamatea - Dusky Sound. Excavation.’ (left), ‘4.7.2014. Tauwhare and Midden. Broughton Arm. Breaksea Sound. Tamatea - Dusky Sound. Site BSS1. Coutts.’ (Right) 2014. Courtesy of the artist. Coastal Flows / Coastal Incusions. 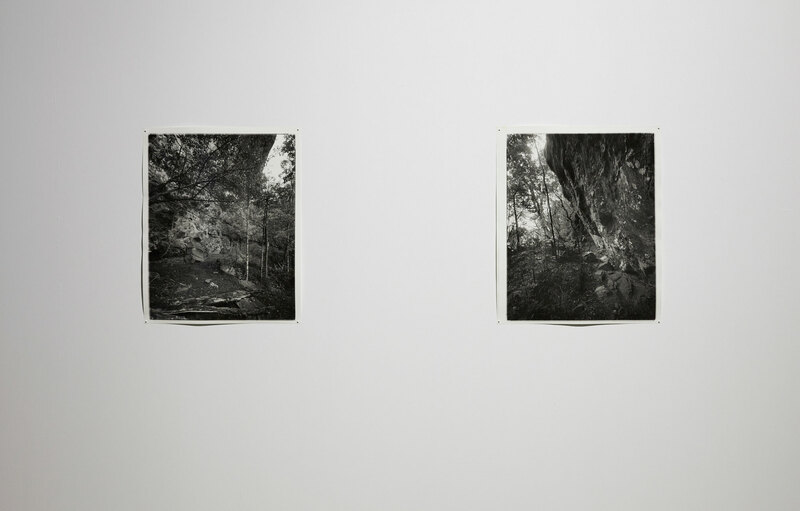 Adams / Monteith, 2014–ongoing. Photo: Sam Hartnett. 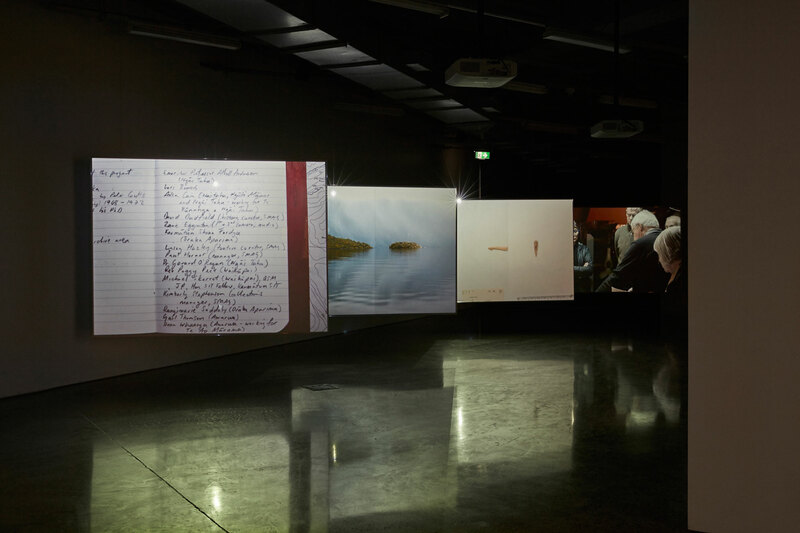 Coastal Flows / Coastal Incusions (installation view), 2017. Photo: Sam Hartnett.